Our fall catalogue fundraiser is in full swing! Remember that you can sell to relatives even if they are out of state by sending emails from or sharing the www.ShopBelieve.com website. Just type in Sargent Elementary School and your child's name. We know they'll be happy to help our school! We are all so excited for Sargent's first Trunk or Treat! If you haven't signed your trunk up already and need a form you can download here. We can't wait to see what everyone comes up with. PTO will be supplying candy and treats. ​We are also requesting gallon milk containers! We'd like to light up Sargent School's driveways on the evening of our Trunk or Treat Family Fun Night! Container must be well rinsed and you can decorate your container with a sharpie. We'll supply the glow sticks! A box has been placed in Sargent's cafeteria. If dropping off prior to the event please ensure that the container(s) are clean! Welcome to our new email newsletter! TRUNK or TREAT is coming up on Friday, October 27! Our first Family Fun Night of the year is coming up on Friday, October 27th! Join us for a free, fun and (only very slightly) frightening TRUNK OR TREAT. You and your family can get involved by signing up as a participating vehicle. Get creative and decorate your car’s trunk for Halloween, and be prepared to hand out candy as kids circulate to view your spook-tacular look. Please register your vehicle before October 23rd by emailing the PTO at sargentpto@gmail.com or message us on Facebook. School Pictures are on Thursday, October 12th! Check your child's backpack for more information. Get Discounts All Over Town & Help the PTO With Our Discount Card Fundraiser! 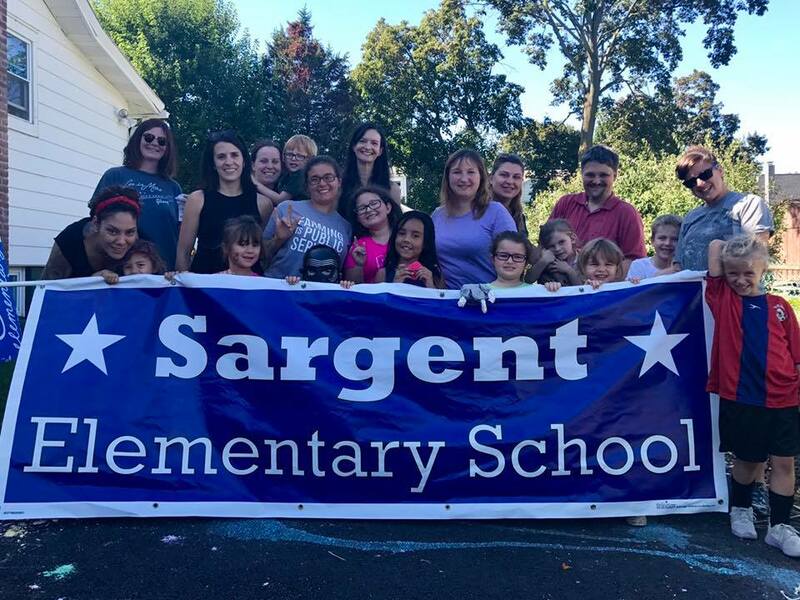 The Sargent PTO is proud to present a new program to raise much-needed funds for school projects while supporting local businesses. Our Discount Card Program is coming soon! You can purchase our custom Discount Cards for only $10, and use them at participating businesses all over Beacon for special offers. From a percentage off your purchase to special freebies, enjoy "VIP status" across town. These cards also make great holiday gifts for Beacon friends! Discount Cards will be available for sale at the October 27th Family Fun Night and at various meetings and events after that. Watch for more details in our next newsletter. Our next PTO Meeting is on Thursday, October 12th at 7:00 pm to 8:30 pm. We will meet at Max's On Main promptly at 7:00 pm. Preview the agenda here. To place an item on the agenda, please contact Anna Bergin, PTO Secretary, at annabergin@gmail.com. Read the minutes from our September meeting here. Watch your child's folder for information on our fall catalog fundraiser. It's the perfect way to start your holiday shopping while helping the PTO improve your child's educational experience! Thursday, November 9th is the annual Senior Luncheon, chaired by Ms. King. Sargent teachers and the PTO collaborate to provide senior citizens from the community with a catered lunch in the auditorium from 11:00 am to 2:00 pm. We are looking for six or seven volunteers to sign up to assist with running the luncheon that day. Contact us to get involved. We'll be holding our second annual shopping fundraiser at Barnes & Noble in Poughkeepsie on Saturday, November 11th. You and your family and friends can shop in the store (or online until November 17th) and raise money for the Sargent PTO--all you have to do is present our flyer at the register or enter our code into their website. Plus, Barnes & Noble will be holding their holiday Maker Faire the same day. Bring the kids of all ages for hands-on play and experimentation with STEM-building toys and activities. More details to come! On two Fridays in December, the 1st and the 15th, the PTO will hold a "Parent's Night Out" fundraiser. From 6:30 to 9:30, volunteers will entertain your child while you have a chance to do some holiday shopping, organize your home, or enjoy a quiet dinner. We'll provide dinner and beverages for your child, too. Contribute $25 for the first child and $15 for every child after that as a donation to the PTO. Drop your child off at the Sargent Elementary Auditorium between 6:30 and 7:30 and take some time for yourself. This is also a great opportunity to use your PTO Discount Card at participating businesses in Beacon! Thanks to everyone who made our fall Scholastic book fair a success! We're thrilled that so many of our kids got to pick out new books to keep them engaged in reading. Special thanks to our chairpersons Raquel and Kim, and all our volunteers for your help behind the scenes and the registers. The Book Fair had a net profit of $844.57, which will be used to fund PTO activities and projects at Sargent this school year.